Place In Deep Purple Story: The Poznan Arena was the venue for Deep Purple's first show in Poland, which took place on September 23rd 1991. Tomasz Szmajter's descriptions bring home the importance of the event for Polish fans who had waited a long time for the band to visit. "Deep Purple's first concert in Poland was probably one of the most eagerly awaited events for Polish rock fans. The band have always enjoyed a cult status here, and seeing them perform live was rather something of a dream, than a real prospect. There were some negotiations (and even hopes) to bring Deep Purple to Poland in 1985 and 1987; however it wasn’t until the summer of 1991 when things started to look up. The news was announced during a Monsters of Rock show in Chorzow stadium on August 12th. 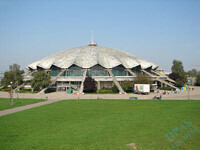 Initially, the band were to appear at the same location (in front of some 30 000 people), however it was soon shifted to the Arena Hall in Poznan (able to hold 6,000) – apparently it was the only venue available at the time. Initially, the show was scheduled for September 12th, and this date was printed on the tickets and posters. Tickets appeared on sale on the September 1st, and of course sold very quickly. When a music shop assistant spotted a long-haired person, it was enough for him to ask “how many?”, without the customary “can I help you?”. 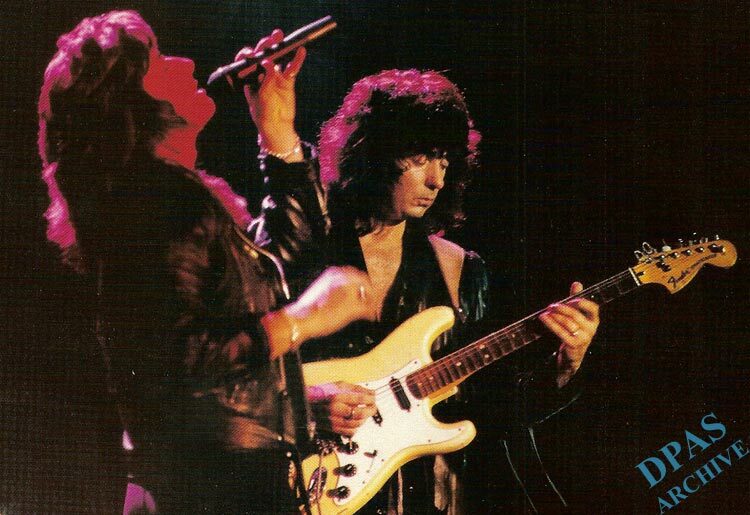 Those were the days… In the mean time the concert was postponed until September 23rd, legend had it that Ritchie lost his passport! That was never confirmed, but no one cared – it only added to the overall hysteria. So – when DP-day came, some 6,000 people were in the venue, and a similar number of unlucky ones outside. The band flew to Poznan from Budapest (to be greeted by members of the Polish DP fan club) and went straight back after the show. Upon arrival, a local TV crew besieged Bruce Payne, asking him for comments on “your last album, ‘Nobody’s Perfect’ “. Bruce politely directed them towards Roger Glover, who gave an impromptu interview. Then, their courtege of limos left for the venue. The concert instantly became a legend – starting with a shattering version of “Burn”, followed by a “Black Night~Child In Time~Rat Bat Blue~Hush” medley, and “Cut Runs Deep”, before ending with a footloose mixture of “Smoke On The Water” and “Woman From Tokyo". AND a speech from Jon Lord. To say “the audience went crazy” would be an understatement. Words fail me to this day, and an occasional tear still appears in my eye when I read old reviews and watch my audience video of the show. 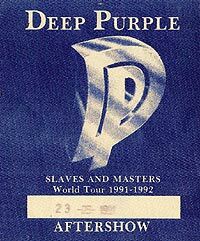 Next (and last – so far) time the Arena witnessed Deep Purple was on June 2nd 1996. This visit was less spectacular than 1991, although the hall was full and the band on top form – apart from Ian Gillan who was suffering from a sore throat. Unfortunately, “No One Came” was performed without the strobe lights, which were held up somewhere along the border. On the next day in Katowice everything went much better. The 320 km distance between both cities was covered by the band on a minibus – apart from Steve, who could not resist the temptation of making a test flight on a Polish tourist plane. 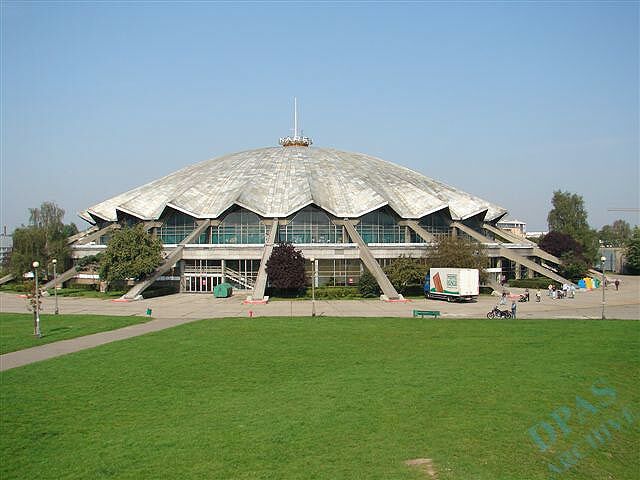 History: The Arena is a multi-purpose hall built in 1974, located in a large park near the centre of Poznan, easily accessible from the main railway station. From an architectural point of view, the designers must have been more than inspired by the Roman “Palazzetto dello Sport”. According to official sources, the seating capacity is 4,200 with standing room for 3,000. I believe the main attraction of the opening ceremony was a concert by British pop group Middle Of The Road. Since then many renowned artists have performed there, including Slade (1978), John Mayall (1980), Iron Maiden (1984 and 1986), Marillion (1987, 1994 and 1995), Black Sabbath (1995) and Jethro Tull (1997) to name but a few. Unfortunately, no major musical events have been staged in recent years, with the hall being used mainly for sport. The last momentary chance of catching Deep Purple was on the “Bananas” tour. The December 2nd 2003 date appeared on website listings for some time, but before long the day was allocated to Cottbus in Germany. Location: The Arena is within the walking distance of the main railway station. From the city centre – any tram going in the Gorczyn direction. From the airport – bus 77 from which you have to change to the 1 or 7 tram. 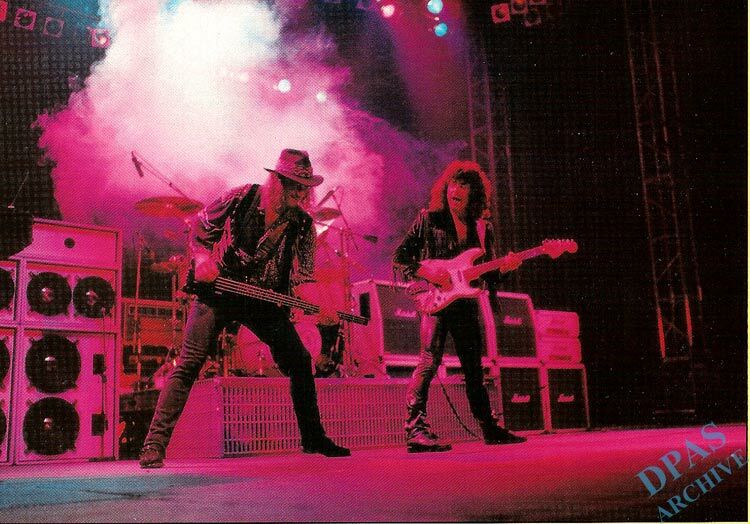 The 1991 live photos were taken by Darek Majewski, and originally published in “Tylko Rock” magazine. The whole feature was put together by Tomasz Szmajter, with a lot of help from Krzysztof Paluszczak and his son Jedrzej.